A wonderful entry, it was very interesting to read. :) Thanks much Eli for such lovely words! Hugs! Such a wonderful post filled with warmth and love!! Thanks Pixie :) I'm sure you'll come up with some beautiful mementos! I fear that whole generations will pass without those tangibles reminders we can put in boxes and bring out to relive and travel down memory lane with. What a beautiful, beautiful post. Oh absolutely Kim! So well said :) Thank u so much! Thank you...I got a task for this weekend :) will do it this weekend. Nice set of small mementos. Thanks Sugandha :) Will be waiting for your post! 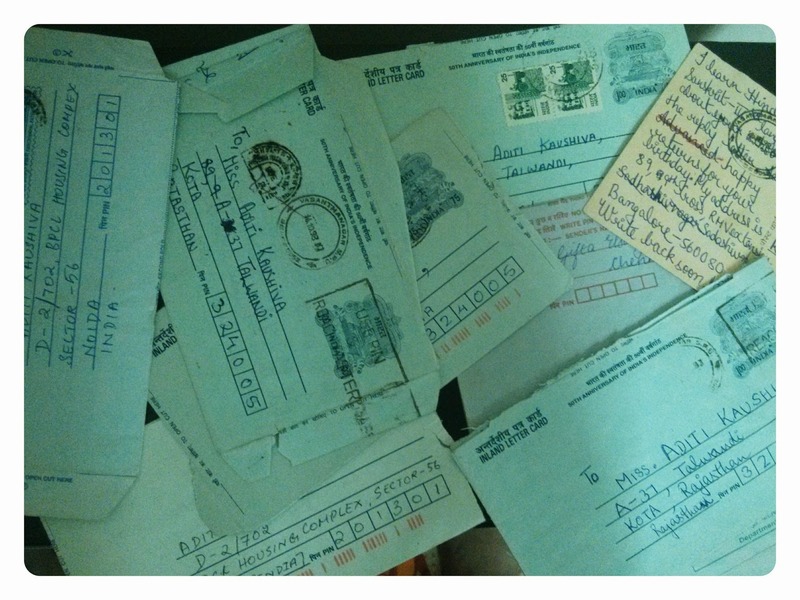 When I saw the hand written cards, I felt bad that post cards,inland letters and small postal covers are slowly becoming extinct.You would not have derived the same fond memories at seein old emails as you do with handwritten letters. 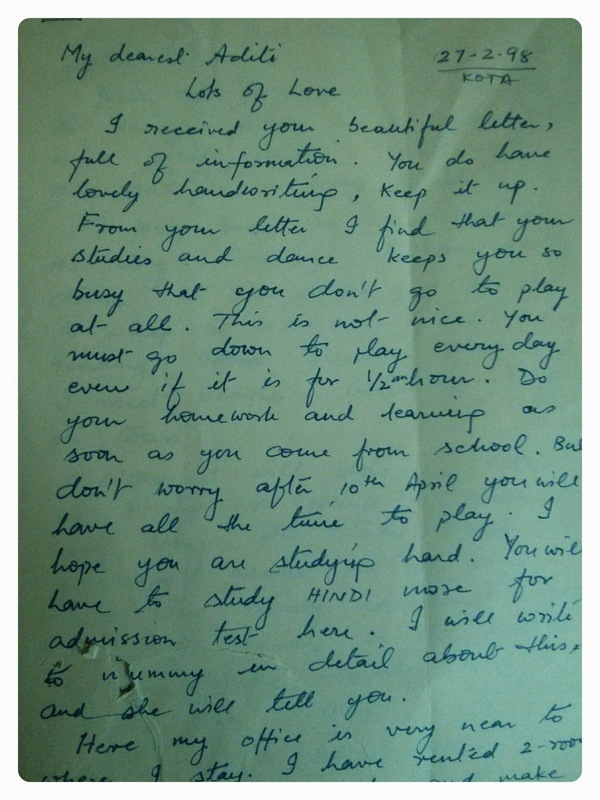 Such beautiful treasures, Aditi...the letter from your dad, so much love and care. And he says you have lovely handwriting - so sweet! You must have got from him. And those hand-written letters are priceless. Even I remember trying to write letters in my 'best handwriting' :) I knew you would have lovely memories to share. Glad that I tagged you! Thanks Sangeeta for tagging me! I really had fun :) n papa does have a lovely handwriting no? Maybe I took after him but it's long gone now ;) no practice! You commented earlier as well?? What a lovely bunch of mementos and treasures! I love looking at things like that. They are simply priceless. 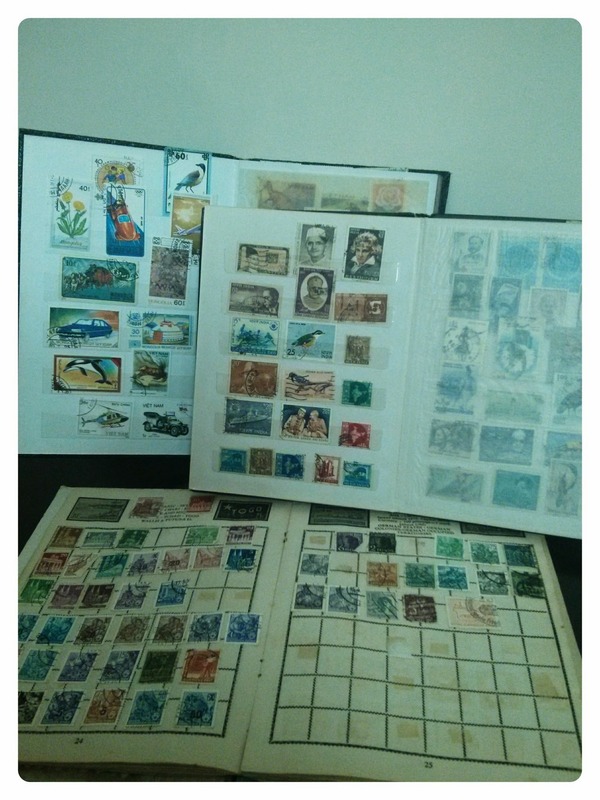 I save all the special letters I receive to enjoy them again, some are sad though, like the ones from my mother when she was so ill. Will letter writing and cards disappear? Getting a cyberspace card does not do it for me. Great topic! Bitter sweet memories! 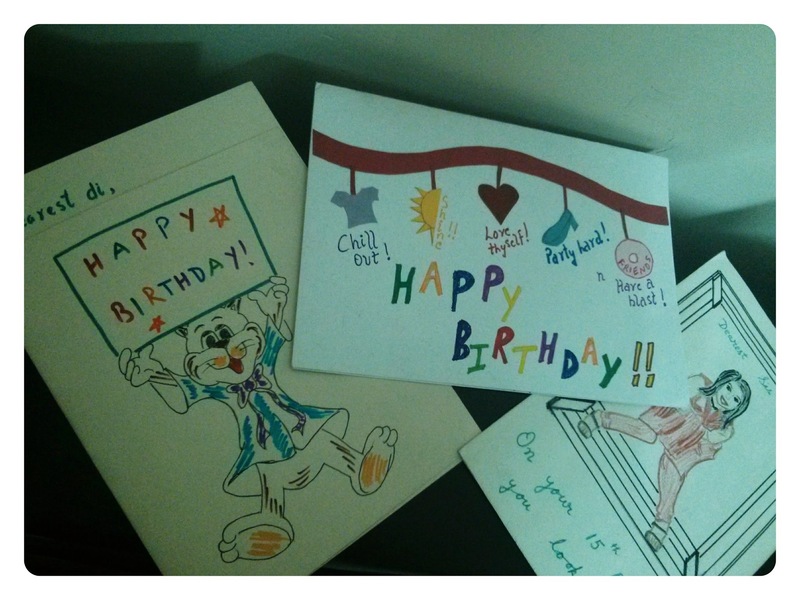 I know cards and letters have that personal touch which emails and e-greetings can never replace! Stopping by from the A to Z Reveal. Love short fiction! Good luck!